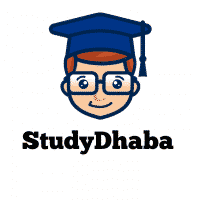 HPSC 2018 Exam Syllabus,Exam Date,Mains Exam,Pattern,Apply Online – Hello friends Welcome to studydhaba.com . here is a good news for all Of you Who Were Waiting for Haryana HCS Exam For Last 2 to 3 years . Now Finally HPSC Released Notification For Different Posts . according to HPSC Notification there 166 Vacancies For Various Posts . Haryana PSC Recruitment 2018 Notification to fill 166 vacancies for various posts has been released on the official website of Haryana Public Service Commission, Panchkula – hpsc.gov.in. The application process will commence from 3rd August 2018 and interested applicants must apply for the relevant post on or before 4th September 2018, 5:00 PM. Haryana PSC accepts online applications for 166 HCS, DSP, ETO, AETO and others posts. So candidates who satisfy the eligibility conditions can apply for HPSC AETO Jobs. Contenders should pass in the rounds of the selection process to get a job offer. Intenders should practise all the topics without fail to show better performance. Here We are sharing HPSC Prelims Exam Pattern For HPSC 2018 Exam. Note – HPSC Mains All Papers Will be Conventional . There Will be No Objective Paper at Mains Stage . Latest HPSC Syllabus 2018 provides subtopics of all the subjects. Candidates should see Haryana PSC 2018 Exam Syllabus & HPSC AETO Question paper pattern to get maximum marks. The applicants must possess Bachelor’s Degree in Arts or Science or Commerce or an equivalent degree from a recognized University. Applicants must fall in the age bracket of 21 to 42 years as on 1st January 2018 except for the post of DSP. DSP – Applicants must fall in the age bracket of 21 to 27 years as on 1st January 2018. The selection of the candidates will be done on the basis of Preliminary examination, Main Examination and Personality Test.